Perrin Performance PSP-EXT-010 - Perrin Performance Thermal Blanket for Up-Pipes Subaru Legacy GT; 2005-2009. 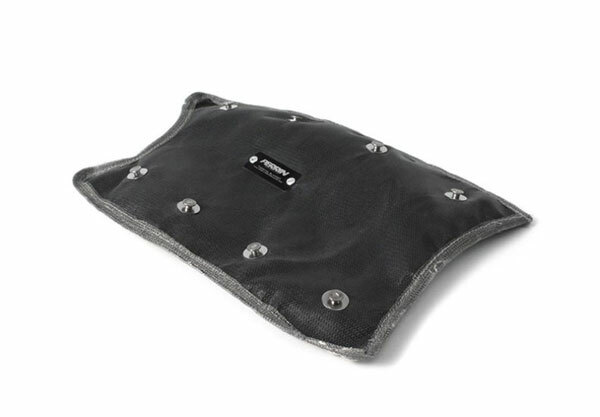 Keep engine bay temperatures lower and help contain radiant heat from your up-pipe with the PERRIN Thermal Blanket. PERRIN Thermal Blankets will improve response while lowering under hood temperatures. Thermal losses from headers, up-pipes and turbine housings cool exhaust temperatures thus the exhaust loses energy and velocity. 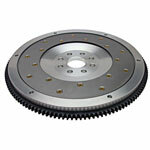 This cooling effect reduces turbo response and horsepower. PERRIN Thermal Blankets insulate the exhaust from losing that critical heat, which in turn maintains the velocity of the exhaust gases. Improve power and protect vital under hood components from heat damage with this easy-to-install and economical part from PERRIN! The PERRIN Up-pipe Thermal Blanket fits around the tubing of most aftermarket up-pipes keeping nearly all radiant heat away from your engine, valve cover, intake and other engine components. The Up-pipe blanket features 3-layer construction. Including an outer cover made from Silicone Impregnated Fiberglass (rated to 500F continuous), an inner layer made of Calcium Magnesium Silicate Insulation (rated to 2000F continuous) and Silica (rated to 1800F Continuous) insulation used to contain the inner layer. Stainless steel rivets are mounted to the blanket and stainless steel wire is supplied to secure the blanket to your turbo. This allows for a simple ?Lace Up? type installation, even with the turbo / up-pipe / header already installed. The shape of PERRIN Up-pipe Thermal Blanket specifically designed to fit over all PERRIN Up-pipes, and most aftermarket up-pipes up to 2.125? outside diameter. Larger diameter ones will work, but the blanket may not cover the pipe completely.